One of the perks of having a Review Blog is getting tickets to really cool events. 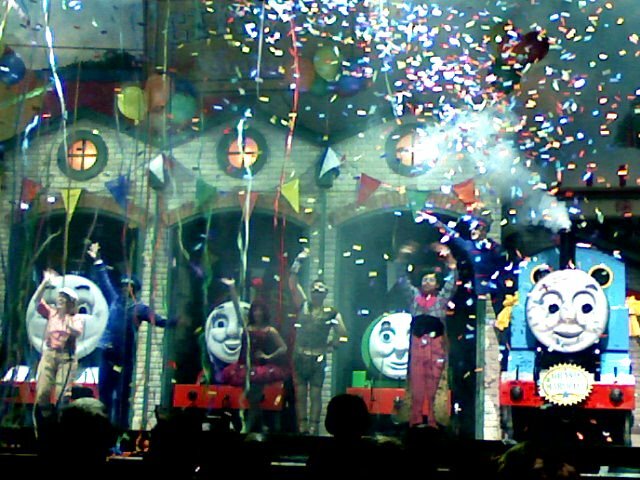 This even in particular was Thomas and Friends Live: A Circus Comes to Town. On Tuesday after work we hit the road to Columbus with kids in tow for their first ever theatre experience. 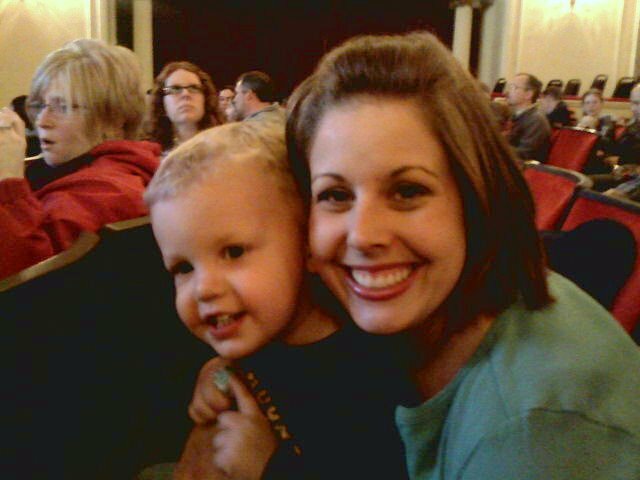 We were a little apprehensive about how Gauge would do since the show didn't start until 7pm and he goes to be around 8 or 8:30. Here we are settling in and getting ready for the show to start. 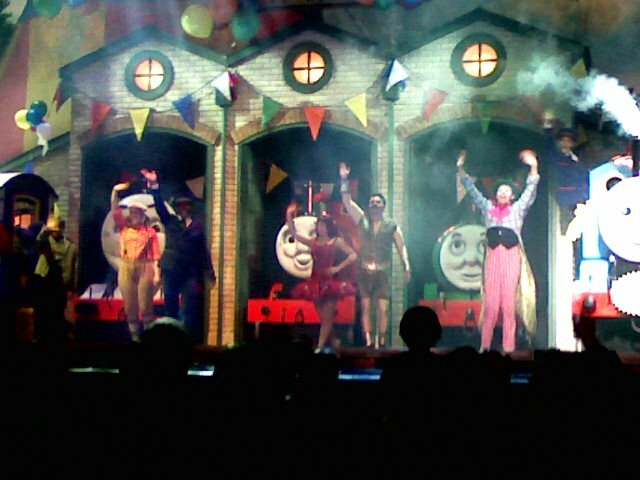 From the very second that the kids saw Thomas come out on stage they were enthralled! 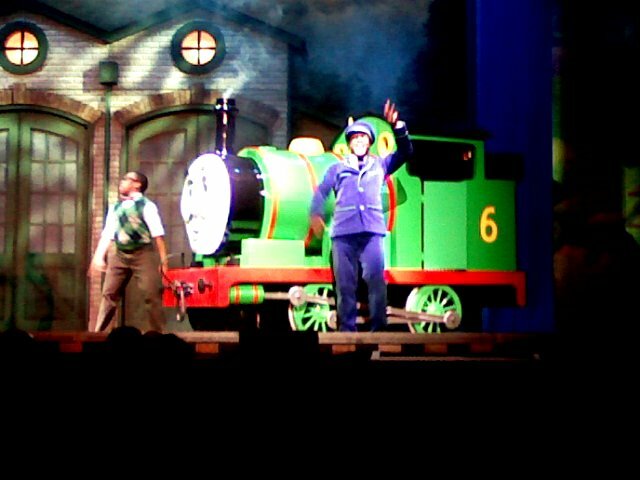 Anytime the trains would leave the stage, Gauge would turn to me, hold up his hands and say "Where Go?" 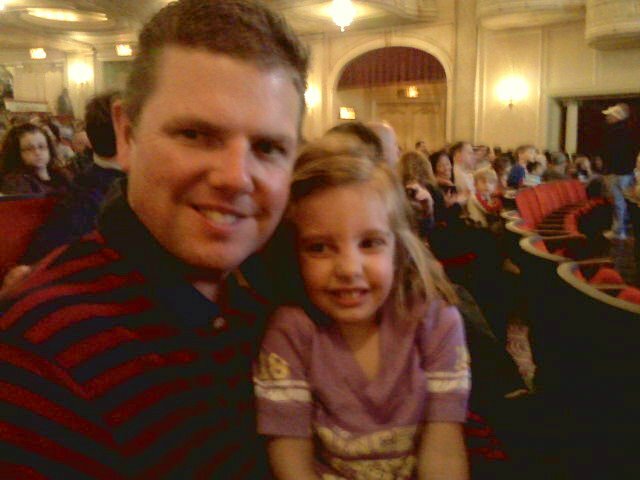 Grace was in love with the Beautiful "Ballerina"
The show was very colorful and action packed with lots of music and singing. The kids danced, sang, and clapped their hands. We had a fabulous time together as a family. When it was time to leave, Gauge waved over my shoulder and kept saying "Bye, Bye, Choo-Choo!" 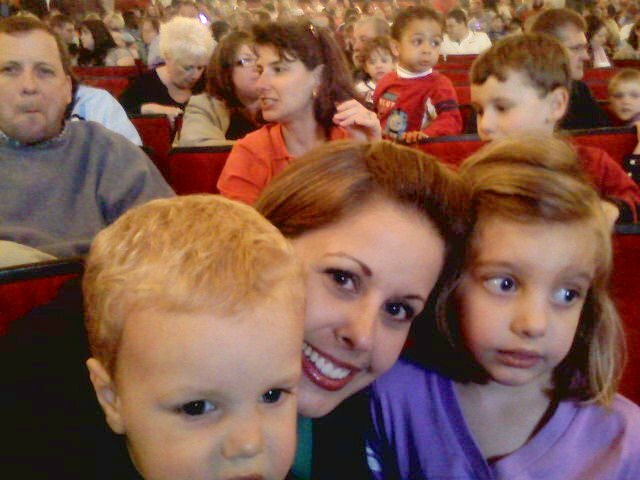 If you have the opportunity to take your children to the theatre, I highly recommend it! You're creating memories that will last a life time! That looks like so much fun! Glad the kids enjoyed it. what an awesome evening. i, like you, often worry about being up past their bedtime...but it seems like that is when some of the best memories are made! love guage's "where go?" comment...so cute...sounds just like something jade would say!